Booked for tour 1 next year. Will be my 3rd tour with Netweather and after the huge success of tour 1 this year I can't wait. I managed to get the same flight deal as Nick. We book through Expedia, prices seem to go up and down like a whores draws, so keep trying daily and see what daily deals come up. Flying from LHR to Dallas Love with one change at Atlanta. Cheaper to arrive there than Fort Worth I found. Just keep trying different options and your patience will be rewarded. B.A normally have a sale around Christmas going through to New Year. Who else is on Tour 1? I'll be on tour 1 2017. Flying out on the 5th as I want to get some time in around Dallas before the tour starts. Haven't booked flights yet but prices are lower than a few months ago. Going to fly Manchester DFW via Heathrow. £120 less if you do that connection. Madness. Was looking at going via Dublin just to get pre-clearance but decided it's one flight too many. Plus with connection times would mean leaving the 21st rather than the 20th. Where are my manners. Hello all and look forward to meeting you soon. Will be good to meet you. If there are 3 cars on tour 1 this could be the biggest tour 1 ever. No wonder after last years awesòme tour 1! Yep 3 cars on Tour 1! See you all out there in May! Sounds like it's going to be a fun one. Have booked the Best Western on West Airport Freeway Irving for 4 nights. I take it the restaurants and Walmart next door are all decent? My mate Paul (yes ANOTHER Paul) will be there too. I bribed him with the 6th Floor Depository and Six Flags to get out early. Is the West Irving Station on the tre a reasonable walk or better to drive? Going to get a hire car for a couple of days so I can get to AT&T stadium. Sounds like it's going to be a fun. Pretty much sorted thanks Olly. Only things left are to book for the trips over the first 4 days. I know there's a car park at the TRE so will drive and park. Unless I decide it's a better idea to have a drinky in Dallas. Anyway countdown is in full swing. 77 days until departure. So with just over 9 weeks to go who will be on Tour 1? Paul Botten will be the lead chaser although I don't know about which other staff/drivers will be with us. There's Jodie from Nth Somerset, Mike from Manchester, Adam from Wilts, Mark from Lincs and me. Feel free to add your names and sorry if I have left anyone out. What time is your flight from Heathrow Jodie? I can offer you a £6 single rail journey from Temple Meads to Heathrow early on the morning of the 8th May if that helps. Would need to be for the 04.47 from Bristol though if that's not too early. I'm booked onto tour 1 and so is my friend Erica. We're from south London, and flying from Heathrow on 8/5/17 - direct with BA. Getting in at around 6pm and staying at the holiday inn garden motel Irving (it's next to the best western). Really looking forward to it, never done anything like this before and so excited! Looking forward to getting some good (or at least passable) weather photos! I've been wanting to storm chase since I was a teenager - finally doing it. Looking forward to meeting everyone and it would be great to meet up with anyone who's gonna be staying near the airport the night before the tour! That's great! Really good to know you have such a passion for severe weather already.....you could end up getting hooked! As for the photography, you shouldn't be too disappointed. Those Mothership Supercells are mind blowing! Will keep in touch, having an evening get together once we arrive may be an option. See you in the Alley :-) Olly. Yes as Olly has said we pretty much always have a get together meal the night before the chasing begins for meet and greet and to answer any questions you have and to run through the basics of safety etc. The only time we wont do this is if we have everyone safe and landed and the risk is much further away for day 1 chasing and then we will be on our way. 2 Months today for the Staff!! 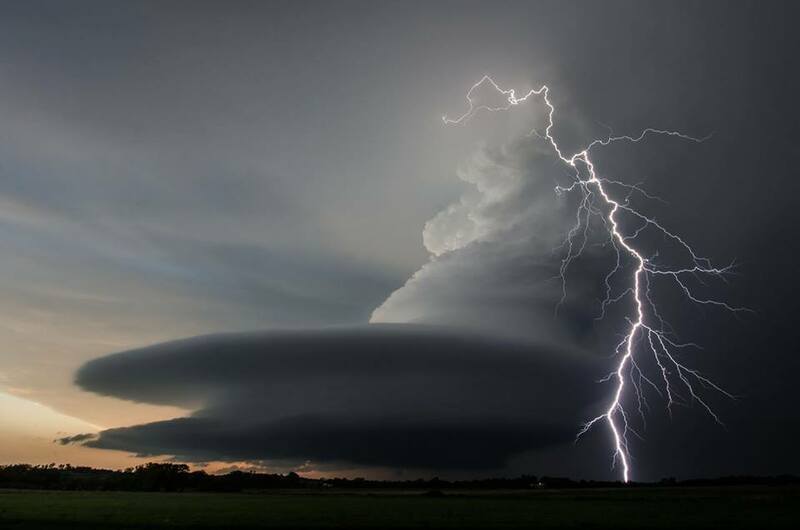 I will be one of the drivers on Tour 1 and this is the kind of supercell structure we'll hopefully see in just over 2 months time, a few tornadoes too will be nice! I'm arriving on the 8th too, haven't decided on the hotel yet but I'll get that booked soon. What time have people booked the flight home? I can't remember what I normally go for, is 15:45 too early? There's a 19:05 option but I don't know if that's a bit late. Been putting off booking my flights for ages since I missed the best prices, but I just have to bite the bullet now. EDIT: Flights booked Exciting times! Pretty sure you will be ok Mark. Every single Tour since 2008 has seen at least 1 Supercell and we have seen most of the stunning structured ones over the last 7 years. We also top the Tornado numbers for the last 3 years out of all the Tour groups. 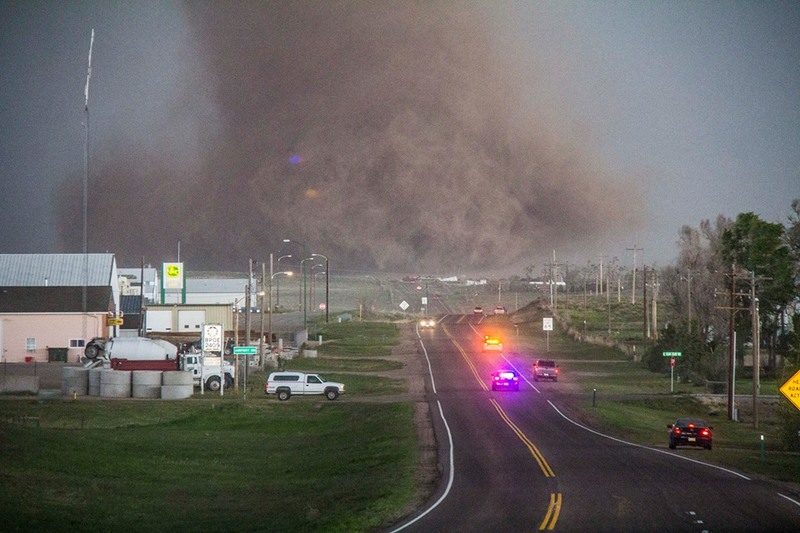 Here are some of our structured Supercell pictures from the last few years. I followed some of the Wray tornado online. Bloody exciting stuff. Sorry have only just seen your post. My flights have changed thanks to the airline dropping the flight with 10 weeks to go. Does mean i have a direct flight to Dallas though (happy days) leaving Heathrow at 15:15 arriving in Dallas around 19:30 ish. I have a coach booked already from Weston to Heathrow leaving at 6.20 am so plenty of time for Monday morning rush hour traffic!!!! Definitely bring some warmer clothes! At least a pair of jeans or two and a hoody/fleece. I made the mistake of not bringing enough warm clothing the first year and we spent a few days in Colorado, you can get up to 5-6000 feet above sea level without really noticing it. With the wind on top it can be chilly. Having said that, one of the coldest most miserable days weatherwise was last year when we were down in Fort Stockton in the far south of Texas. An absolute doghole of a place, 11c and severe drizzle - this was just a stone's throw from the Mexican border, as far south as north Africa. Was worth the pain in the end with the bumper haul of tornadoes in the following days. To sum up, the climate of the plains is wildly unpredictable, it's pretty much the exact opposite of what our island climate throws up!